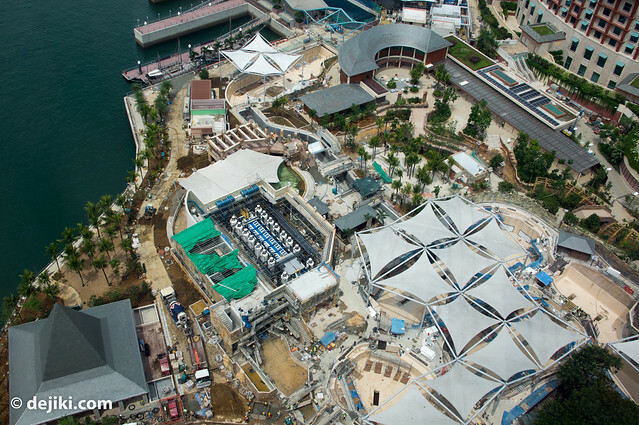 Resorts World Sentosa announced last week that the Marine Life Park is at its final phase of construction and will be open in time for the Resort’s Grand Opening on December 7th. 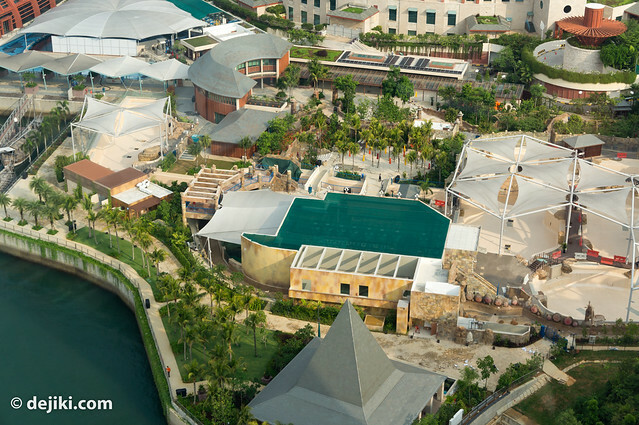 As previously revealed in earlier from the air updates, Marine Life Park is separated into two zones: S.E.A Aquarium and Adventure Cove Waterpark. 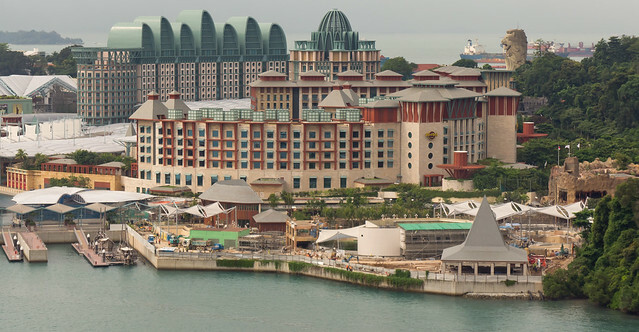 Another signature attraction at the park, Dolphin Island, will be ready next year. 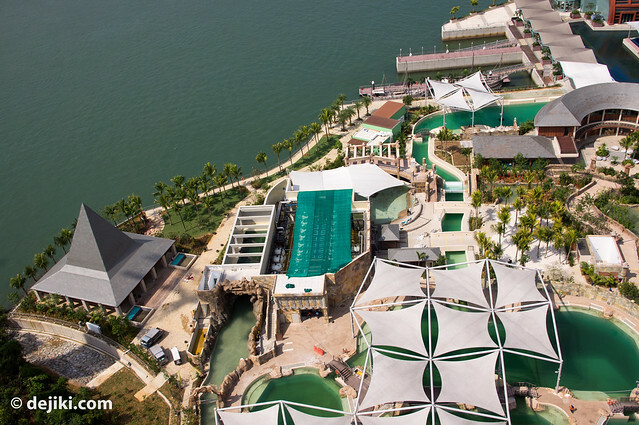 I’m delighted to share these photos of the Marine Life Park from the air. The park certainly looks complete, with major repair works done and contractors putting on the final touches on the park’s various elements. 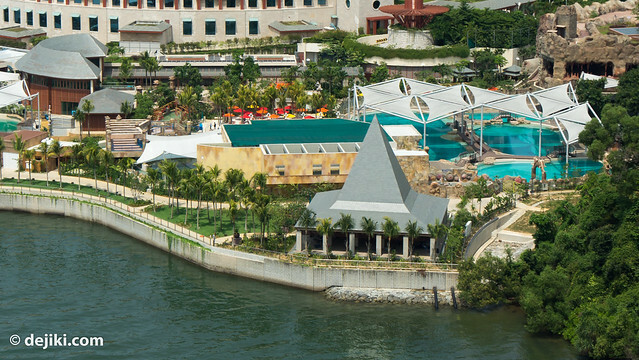 Marine Life Park looks amazing and almost complete now. Gone are the pools undergoing cleaning and treatment – they are all sparkling blue. There are also many finishing touches all over the park – we can now see the little facilities offered at the park to make a visit enjoyable. 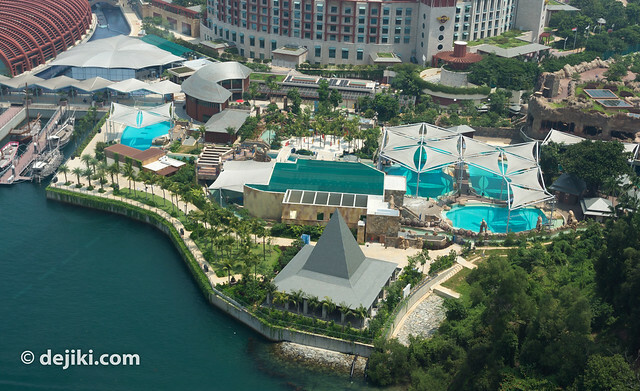 This update also includes the list of water rides and attractions available at Adventure Cove Waterpark at Marine Life Park.